Straight from the trailhead, this scenically dense hike puts you in the heart of the action. 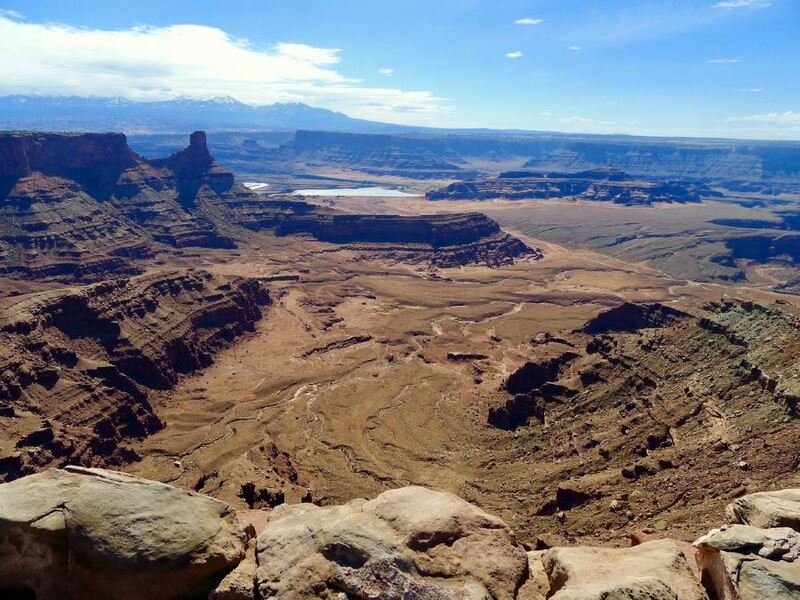 Expect fantastic views down to the winding Colorado River and across the expansive valley to the La Sal Mountains throughout the entire route. An incredible hike with stunning views and way less traffic that most of the popular trails in the area. Though it involves more climbing than typical for the region, it is well graded and definitely worth the effort. 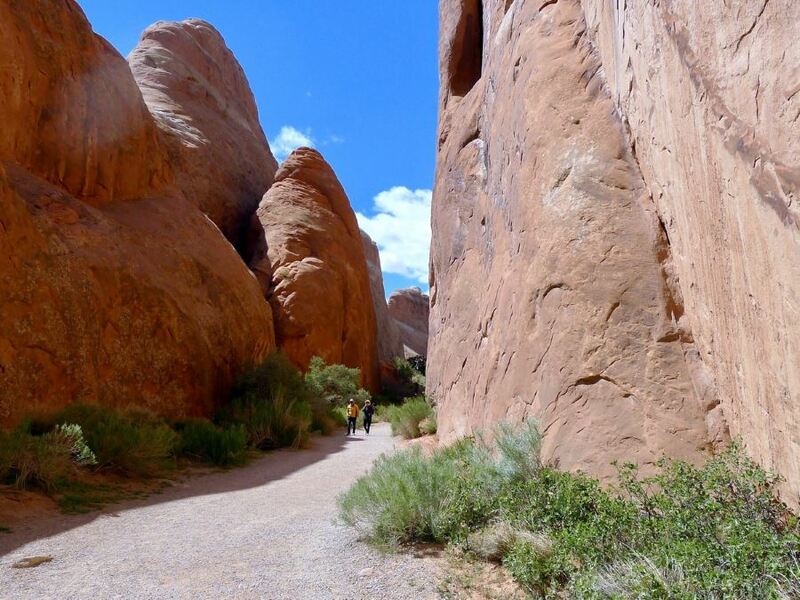 Mere minutes from downtown Moab, this mostly flat hike leads up Mill Creek into a gorgeous, secluded canyon. 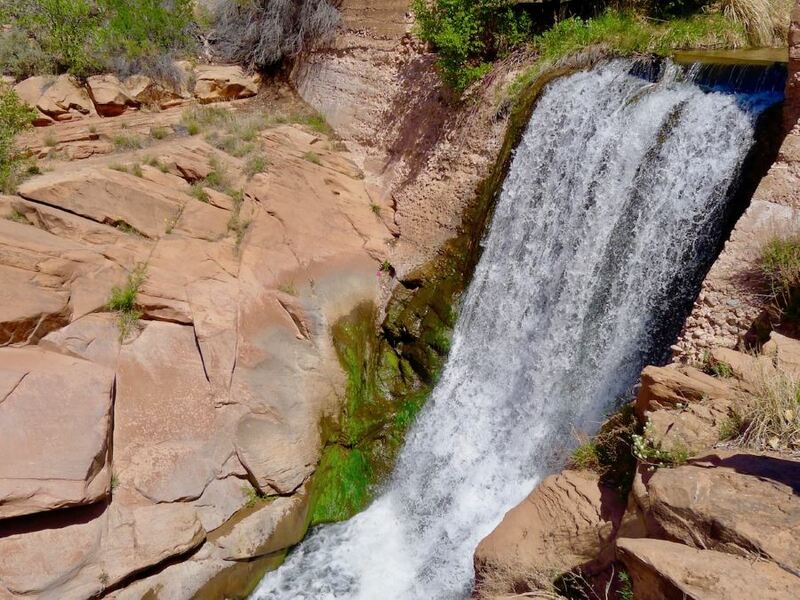 A stunning waterfall and swimming area is found at the trail’s terminus – a real treat on hot summer days! 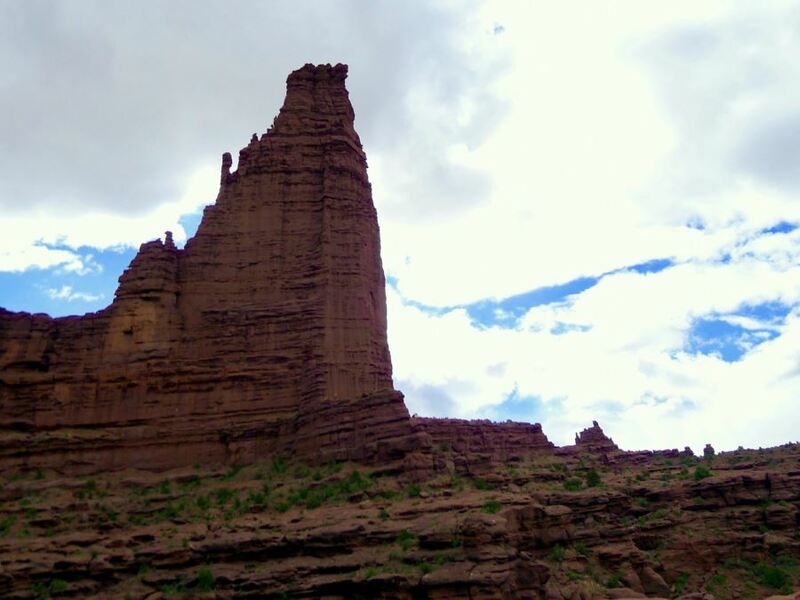 This popular trail brings hikers through monumental sandstone towers popular with many climbers, otherwise known as the majestic Fisher Towers. 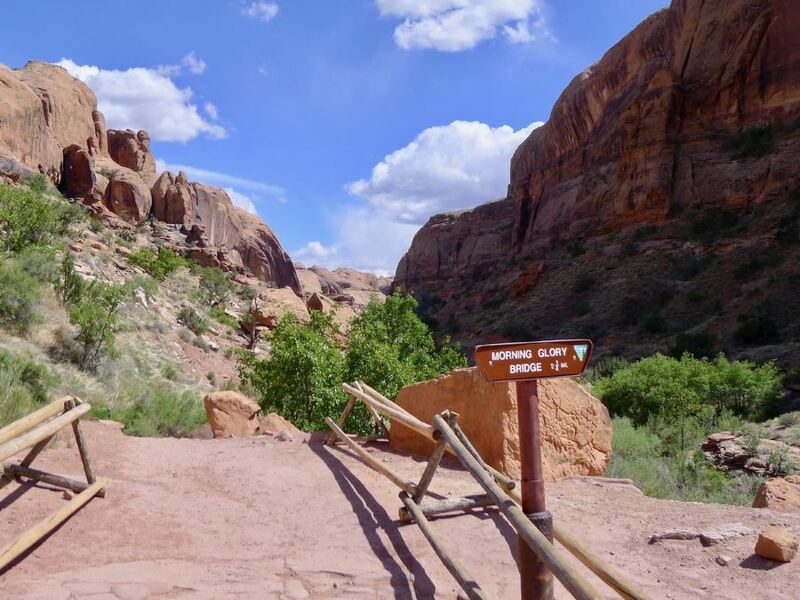 The trail slowly climbs beside the towers until if finally gains a ridge, granting panoramic views of all the towers as well as the expansive valley and the Colorado River. This quintessential Moab trail leads up a tight cliff lined valley to the Morning Glory Bridge, a stunning natural arc spanning 74m! This mostly level hike has few climbs and plenty of shade, making it great for families in the heat of summer. This quick hike runs down a gorgeous narrow canyon, meeting up with the highway at its beginning and end. 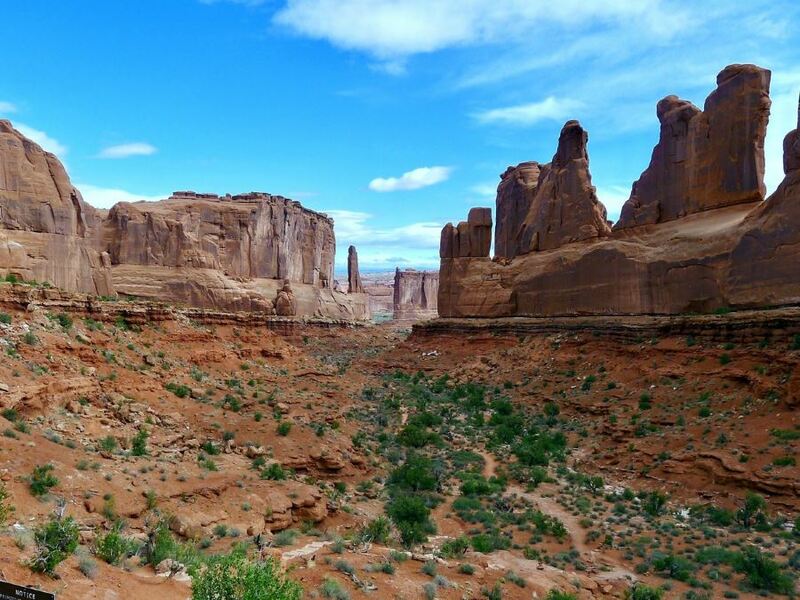 Wonderful views of desert towers and sheer sandstone cliffs fill the scenery. 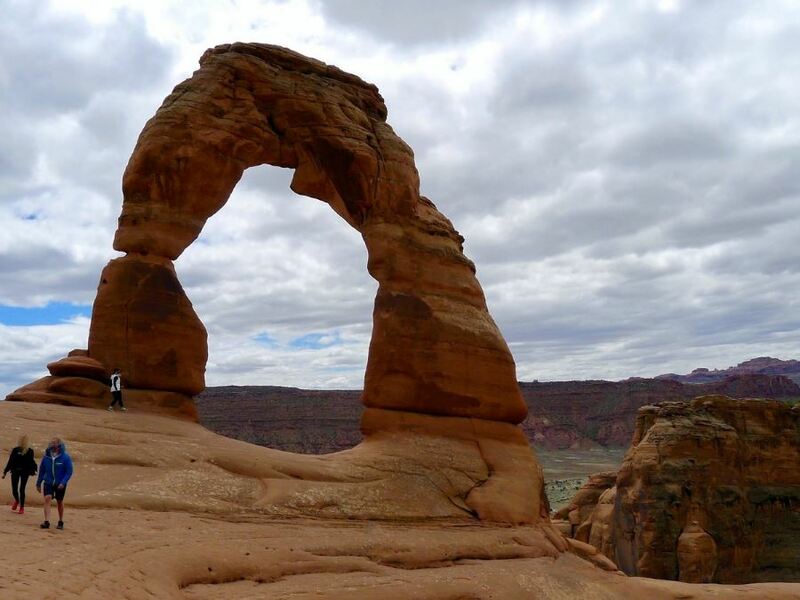 The most popular trail in the park, the Delicate Arch hike leads up a steep slick rock sections to the amphitheater surrounding the namesake arch. Typically underestimated by enthusiastic tourists, this hike can get really hot in the summer, making the already steep elevation gain even harder. 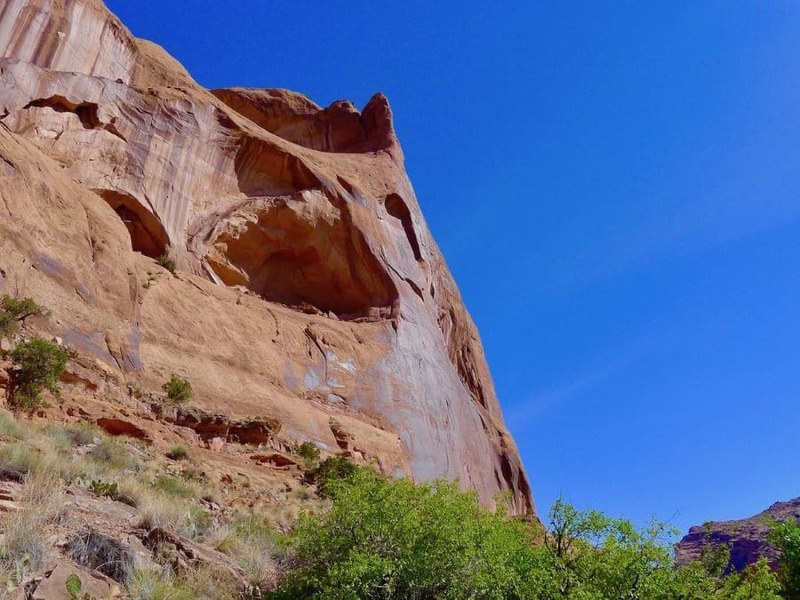 A classic short hike that puts you directly underneath two – count ’em two –arches! 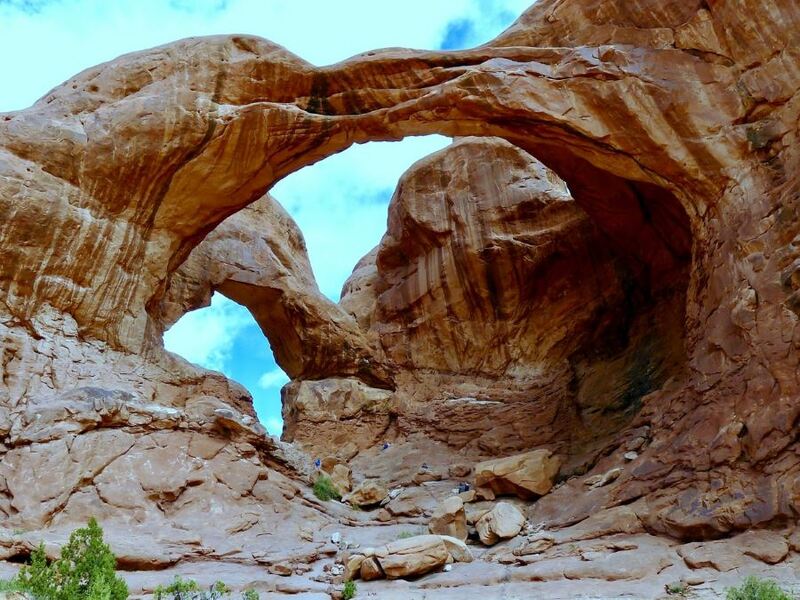 For minimal effort, you are rewarded with a fantastic perspective and one of the closest interactions with an arch in the park. 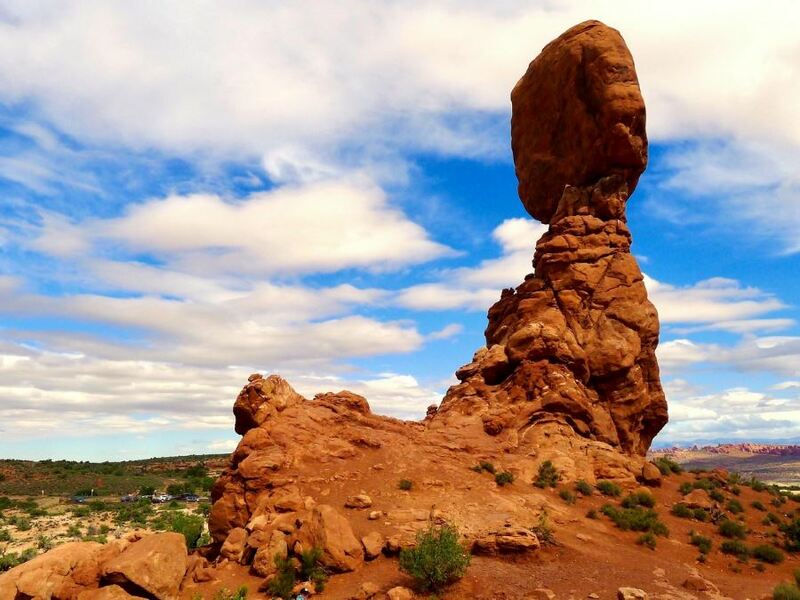 This quick jaunt from the parking lot brings you around the world famous Balanced Rock tower. Visible from miles away (even visible from our Portal Overlook hike), this amazing rock formation is an obvious roadside attraction.